Home Education	Best Grandparents Gift Ever: Camp Under the Tree! Our Grandparents Gift theme this year is all about C-A-M-P! Whether your child is a day camper, a dance camper, a soccer camper or an overnight camper, we have the perfect gift for you! Our parents are often asking what the kids really want for Christmas. They want to give something special that the kids will enjoy. My number one reco is camp or a session of their favorite activity. Granpdarents will feel good about the experiences they are giving to their grandkids as well as feel good about helping you out. Because let’s face it. If you have more than two kids, camp can get pretty expensive. Following are Smarty ideas for your little future campers! All summer camps run from Monday – Thursday from 9:00a.m.-12:30p.m., unless otherwise noted next to the camp date. Each camp has it’s very own theme and will include a variety of activities, such as tumbling, face painting, arts and crafts, puppet shows and much, much more! Bippidi Boppidi Boo, it’s a fairy tale dream come true! Gowns, crowns and castles will do, nothing short of a royal camp week for you! We sure hope you will drop by and let your imagination fly! It’s a week full of prince and princesses that you sure can’t deny! Welcome to the jungle, the animals are all abuzz. They heard about safari camp and wondered what it was! So, grab your gear and your hat, MSDA is hitting every safari on the map! Aloha! It’s luau time at the Miller Street Tiki Hut! Don’t forget your bright shirt, grass skirt and get ready to have fun the tropical way! Do you have the boogie fever? Shake your groove thing on over to MSDA’s Groovy Girl camp and show us what you’re made of! MSDA is offering these camps for only $80 each. You will need to call or stop by the studio location you’d like to purchase: Providence or Baxter. MSDA will provide a gift certificate and will mail to you if purchased by phone. You can reach the Providence studio at (704) 889-8637 and the Baxter Village studio at (803) 396-5299. For those of you with dancers in Center City/Myers Park area, Jami Masters School of Dance offers camps for ages 3-8 with adorable princess themes. 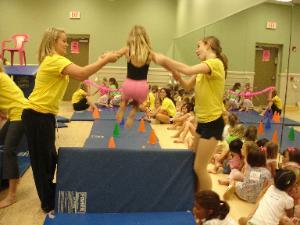 Camps are typically Monday through Friday, 9a-1p from June to August. Both studios offer technique classes in the summer as well and classes all year long. Providence Day School Summer Program and Charlotte Country Day School Summer Program are two of the best in the QC. For ages 3-18, these schools offer programs for almost any sport and your child will leave that week with an enhanced skill set that he did not have on day 1! Both also have summer programs way beyond sports, so take your time researching the options! 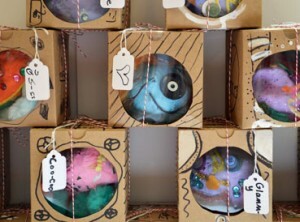 The Art Room and small hands big art have amazing arts camps for ages 2-7 all summer long. These are super popular for little Picasso’s! STEM Camp is a terrific place where campers can learn more about science, technology, engineering, and math through a variety of fun, hands-on activities. CPCC and Trinity Episcopal School both have an incredible STEM camp experience. 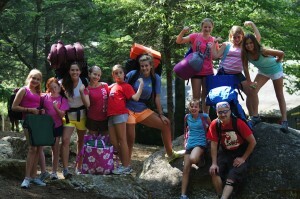 Camp Harrison at Herring Ridge and Camp Highlander are two wonderful sleep-away camps. Camp Harrison is part of the YMCA of Greater Charlotte and has everything from a dude ranch, to a sportsman track and a Beyond the Ridge Track (just like Outward Bound) and everything in between. 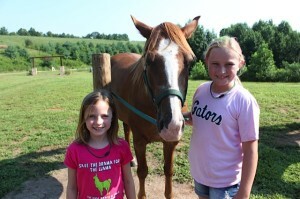 Tucked in the mountains of NC, the property is absolutely heavenly and your child will be hooked for life! Camp Highlander, located in Mills River, NC, near Asheville, provides a magical summer experience for girls and boys, ages 5-16. Year after year, campers return to build lasting memories at the 240 acre campus nestled in the heart of the North Carolina mountains. 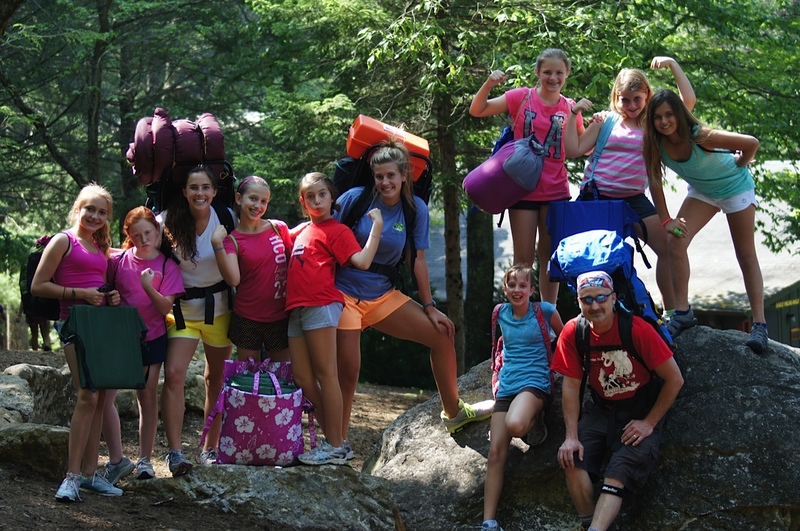 Camp Highlander is the only camp to have Athena’s Path and Hero’s Pursuit as part of the counselors’ training as well as the middle school campers’ curriculum. They have horseback riding in Biltmore and so much more! I’ve just skimmed the surface here, but you get the idea. Whatever your child’s interests are, you can pretty much guarantee that there is a program in town! 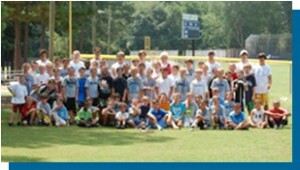 We are lucky that we have so many options for camps and activities in Charlotte and the surrounding areas. Keep in mind, many of the camps don’t have their summer curriculum ready just yet, but they still make a great gift! So my suggestion is to get creative. Either contact them to see if you can purchase a gift card or just write an IOU. Buy a sweatshirt or tee shirt, wrap in a big bow and put under the tree. This will be the perfect gift that will keep on giving! Grandparents who give this gift will be rockstars for sure! Register for The My Secret Angel & Me Giveaway! FOUR lucky Smarties will win this precious holiday tradition. This one is coming through fast! We’ll pick our winners on Wednesday, December 11th. So don’t wait, enter to win now! Click here for details! Smarty Alert: Bedside Manor Selling all Holiday Merch @ 30% off!